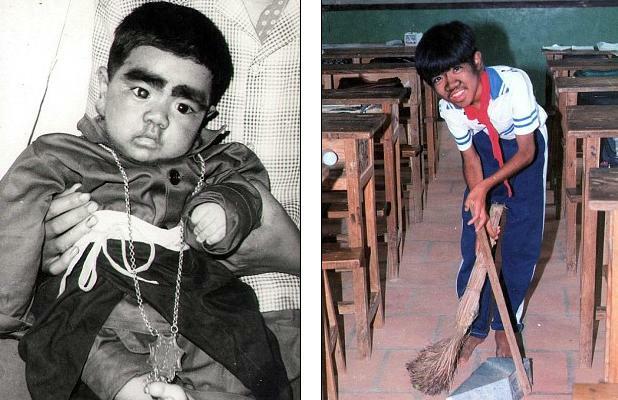 He was cruelly dubbed a freak and nicknamed the ‘hairy child’ by locals in his small Chinese village. 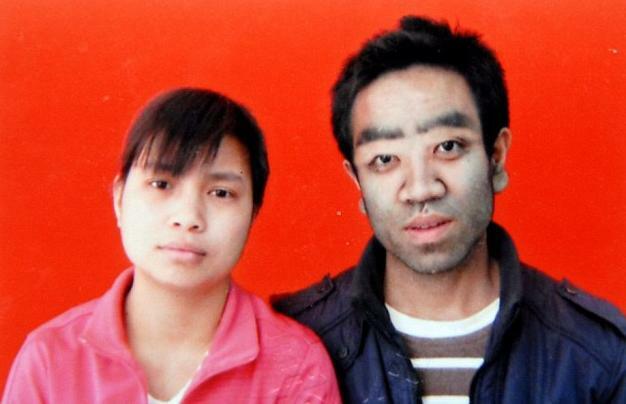 But it seems as if Chen Qiwen- who suffers from a rare condition and was born with thick, dark hair covering his face and body – may have the last laugh. Now 29, happily married Chen, from a small village located in Zhangpu County, Fujian Province, has grown into a successful businessman and has just celebrated the birth of his first child with his pretty young wife. Chen was born in 1984 and rose to media attention due to his bushy eyebrows and dark facial hair that covered his tiny face. He was treated as a freak thanks to the condition which is believed to have been caused by a hormonal imbalance. But as he grew he gradually won the community over with his positive attitude and hard work ethic. Since leaving school he has opened his own shop selling air conditioner units in Jinjiang City where he is said to a employ more than 100 staff and earns a very comfortable living. He is now happily married to wife Liang Fulan after meeting in 2011. The pair married last year before welcoming their daughter. The young father says he is now content with his life as a ‘successful career and a happy family have made it easy for him’.